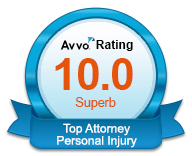 Our personal injury attorneys in Lynnwood, WA are instrumental in securing the compensation you deserve. Our personal injury attorneys at Russell & Hill, PLLC, have the training and skills to expertly work with you on your personal injury claim. Injured in a pedestrian, bicyclist, or auto accident that was not your fault? If so, you have legal rights to compensation for both your injuries and general damages. Many Lynnwood area residents don’t realize these rights until it is too late. However, personal injury options including, pain and suffering, lost wages, and any necessary medical treatment can be covered by the insurance of the responsible party. Our personal injury attorneys in Lynnwood, WA are instrumental in securing the compensation you deserve. Our personal injury attorneys at Russell & Hill, PLLC, have the training and skills to expertly work with you on your personal injury claim. If you have been injured in an accident in the Lynnwood area, whether it be a car, truck, or bike accident, job-related accident, or even a dog bite, you are entitled to receive compensation for your injuries. A Lynnwood personal injury attorney can help you fully understand your claim and rights, work with insurance companies, and handle the settlement process while you focus on recovering from your injuries. Car accidents are one of the most common accidents in the nation, yet despite the frequency of the accidents in the Lynnwood area, many drivers are unaware that although you may be working with an insurance company you are under no obligation to agree to the terms offered to you. If you’ve been injured in an auto accident in which you were not at fault, you have the right to file a personal injury claim. A Lynnwood personal injury attorney can help a no-fault driver receive the damages and compensation they are rightfully owed. 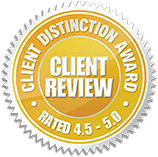 At Russell & Hill, PLLC, we work hard to get our car accident clients the restitution they are due. While you focus on recovering from your car accident injuries, we are here to handle all the details, conversations, and claim proceedings of your claim. Lynnwood area motorcycle accidents are extremely devastating. High speeds and little protection leave motorcyclists vulnerable in accidents. If you were involved in a motorcycle accident in Lynnwood, you may have the right to pursue a personal injury claim against the at-fault driver. These claims can necessary for lost wages, medical costs, or pain and suffering after the accident. In tragic accidents such as these, working with an attorney through the claims process is vitally important. At Russell & Hill, PLLC, we have vast experience in this area of practice and fully understand your rights and the legal responsibilities of the insurance companies involved. Pedestrian accidents are common occurrences in Lynnwood and often result in very serious injuries. According to the law of Washington state, pedestrians include not only walkers and runners but bicyclists, skateboarders, and other non-motorized modes of transportation as well. Pedestrians are rarely at fault in an accident and in most cases, the pedestrian will have multiple options for insurance coverage. With the serious injuries that often result in Lynnwood pedestrian accidents, working with a personal injury attorney to explore coverage and compensation options can make all the difference throughout the recovery process. The personal injury attorneys at Russell & Hill, PLLC have years of experience with bicycle and pedestrian accidents and understand how to expertly handle all the details of your case. Since most commercial trucking accidents typically involve a semi-truck and a motorist, the consequences can be devastating. Personal injuries after a Lynnwood commercial trucking accident can be extensive. Knowing your rights is very important and a personal injury claim may be a great option if you have been involved in a commercial trucking accident. After an accident of this magnitude, there is no reason you should have to bear the financial weight of your medical treatment because of another’s negligence. Be free to focus on a short and successful recovery without having to worry about processing and proving your claim. Instead, let an experienced Lynnwood personal injury attorney from Russell & Hill, PLLC handle the entire claim process for you. When a Lynnwood construction accident occurs, builders who constructed the building, a contractor who maintains a structure, or an architect who designed a structure, may be held liable. In construction accidents, the responsible party can be held liable for any injuries caused by their negligence. When this happens you have the right to pursue a personal injury claim. 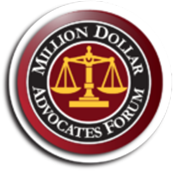 Having a personal injury attorney on your side can be invaluable. Residents of the Lynnwood area can pursue a personal injury claim with the assistance of one of Russell & Hill, PLLC’s personal injury attorneys. Dog bites are messy and, unfortunately, common in the Lynnwood area. In the case of a Lynnwood dog bite, an owner, guardian, or property owner may be held liable for the actions of the dog that caused the injury. If you have been bitten or injured by an animal that does not belong to you, you have the right to file a personal injury claim. Working with a personal injury attorney can ensure you get the compensation for any medical treatment needed. The personal injury attorneys at Russell & Hill, PLLC, have many years of experience with dog bite claims and can help you receive the monetary compensation that you are rightfully owed. If you were injured while working aboard a vessel, you may be entitled to maritime benefits and compensation for your injury. Maritime employers are required to pay maintenance and cure while a seaman is recovering on shore. This includes unearned wages, medical costs and a per diem to cover food and lodging. Additionally, a seaman injured at work may be compensated for the employer’s negligence and/or the unseaworthiness of the vessel. Our Lynnwood maritime personal injury attorney understands the unique rights of seamen and can help you get the most from your employer and their insurance company. When a person slips and falls while at another party’s establishment, liability may fall on the owner of the property or another responsible entity. Common injuries sustained due to these accidents are concussions, broken or fractured bones, and extensive bruising. Having legal representation in these types of cases will make all the difference in ensuring that your rights are understood and protected. A Lynnwood personal injury attorney at Russell & Hill, PLLC is here to make sure the negligent party is held responsible for taking care of your pain and suffering, as well as any medical treatment that resulted from the incident. If you have been injured in an accident in the Lynnwood area, Russell & Hill, PLLC would be happy to sit down with you to discuss the details of your case. Our personal injury attorneys can help explain the legal implications of your situation and help you fully understand all of your options. Partnering with an experienced attorney at Russell & Hill, PLLC can help ensure you get the compensation you are legally entitled to. Contact Russell & Hill, PLLC today to schedule a free, no-obligation consultation.